Home/Success Stories/Supportive Spouse Turned Transformation! 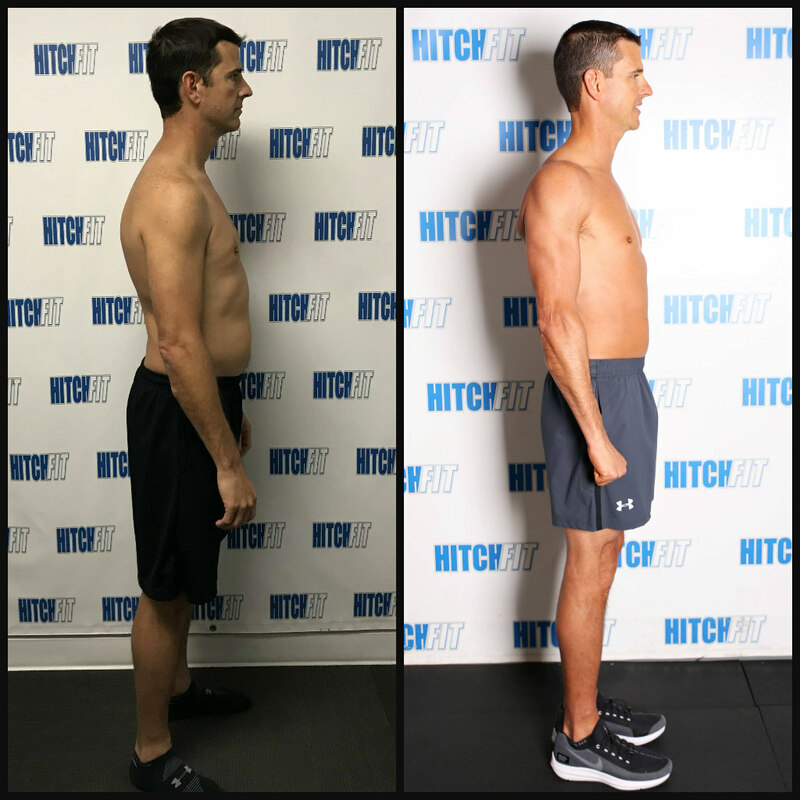 Bill began his Hitch Fit transformation to be supportive for his wife Lori who was going through her own journey! But he soon found that transformation was for him too, and it wasn’t just physical! This was a process that gave him strength, confidence, more positivity and less back pain! “Prior to being introduced to Hitch Fit by my wife, Lori (Check out Lori’s Transformation HERE! ), I was having significant lower back pain due to a bulged disc. I weighed the most I ever have at 189 lbs, which I carried mainly in my midsection. I kept hearing how “skinny fat” I was. I always felt tired and sluggish. I thought that since my body frame was the way it was and had not changed, with the exception of little weight around my waist, why would it change at age 43? In March of 2018, I saw my wife begin her journey with Hitch Fit. You could tell it was impacting more than just her body. She began to lose weight while building muscle. I was able to see how excited she was as her transformation progressed. During Lori’s initial phase, I gave up drinking soda and followed her eating plan (for the most part anyway!) to show my support for what she was doing. I, too, began to see some weight loss take place. I was hesitant about joining Hitch Fit myself because of the financial aspect. I did not think there was any way it could or would benefit me. I continued to see Lori’s excitement and enthusiasm for Hitch Fit, which inspired me. I was tired of having more days of pain than not and began to wonder if I could find some relief by building my core. My hesitation continued for more than a month before I decided it was time. 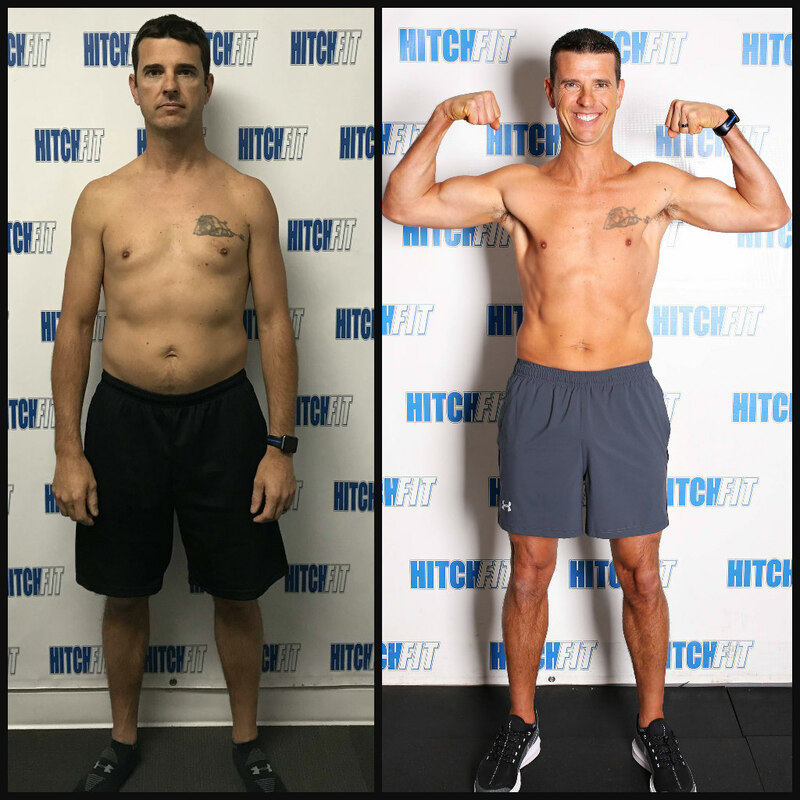 What better way could I show my support for the journey that had not only changed my wife’s appearance, but her level of excitement toward working out, than to begin my own journey? If I would be able to benefit from the workouts, BONUS – win, win situation. Lori’s trainer was Rob Elsey, but had trained with Eric Reynolds when Rob was unavailable. She felt Eric would be the perfect fit for me. I decided I was all in and contacted Eric to begin my journey. I told him, “Time to get pumped! Let’s do this!” I knew I had to be ready to make a change to be a better version of myself – not only for my family…but for me. By the time I started, I had dropped to about 171 lbs to begin the transformation. I was not 100% sure what to expect, but heard nothing but positive things from Lori. I wanted to demonstrate that I was dedicated to Hitch Fit as a supportive spouse. After receiving the meal plan, we began to meal prep one Sunday evening. I was determined to follow the meal plan the best I could. I measured out all my meals and enjoyed trying variations while staying on track. As a Police Officer, I knew nutrition would be one of my biggest struggles, as I knew I could not always eat when I should. It was easier to run through a fast food drive through when my workload was heavy. I learned to adapt throughout the process. It was apparent I was able to save money by being on the meal plan versus eating out all the time. The workouts were great! The knowledge Eric has and his ability to hold me accountable while motivating me to stay on track was a huge benefit to my success. I really enjoyed being able to show up and not worry or try to figure out what workout I needed to do, and at what weight. Eric took the thinking out of the workout by having a plan ready. There were times I would see small weights in his hands and I would laugh; I knew I would be doing a difficult exercise or a lot of reps. Regardless of what Eric put in front of me, I was determined to get through it. Through the meal plan and the workouts, I was able to see a few pounds drop off the scale, but I felt like I plateaued and the progress had stopped. Eric asked me about my food and cardio. I may have been doing well on the food, but was slacking on the cardio. The accountability really kicked in when I began sharing my fitness tracker with him. The accountability put me in check. When I picked up my cardio, I may have only dropped a few more pounds but that was not a concern for me. I saw results in my measurements dropping about 2 1/4 inches off my waist. I truly began to understand the term “skinny fat”. Others were commenting about my appearance, which really helped boost my confidence. Hitch Fit has been a blessing. I have enjoyed being able to share in an activity my wife was passionate about and loved so much that I became just as passionate. This transformation has been more than a physical altering moment for me. It has helped me become stronger, more positive and have more days with less pain in my lower back. Besides, what better way to show support in your spouse than to participate in something they enjoy? I have loved every moment. 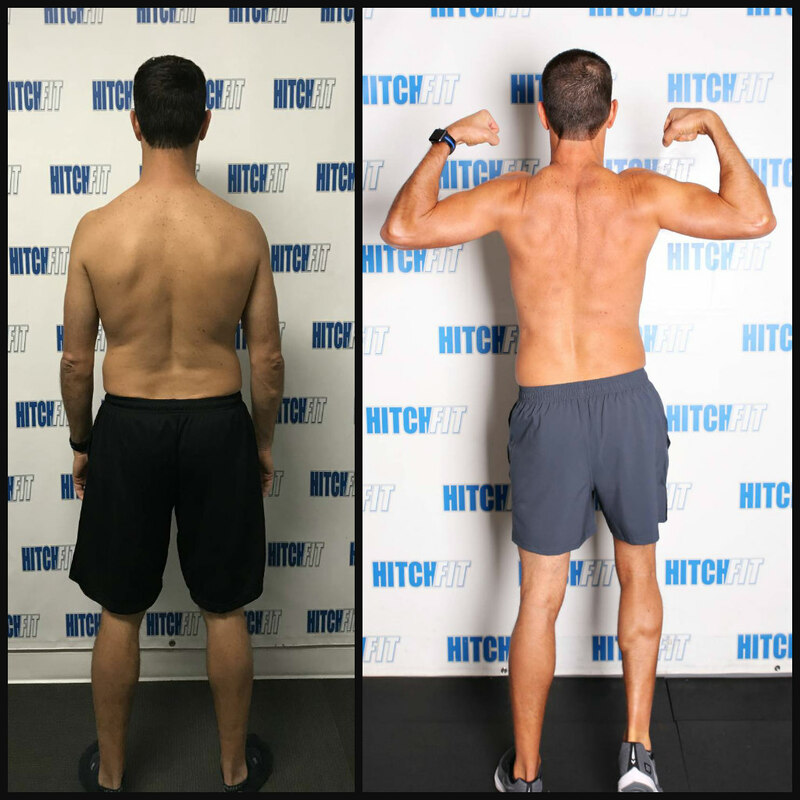 During my transformation, I have seen many positive trainers within Hitch Fit that are dedicated to helping people. It seemed contagious in the clients that I encountered while training. Did you make a New Year resolution to be healthy and workout? Are you struggling with finding what workouts to do after starting your new gym membership? I may have found your answer. It has been an honor to have such an amazing Trainer/Transformation Coach in Eric Reynolds. I am confident Eric can help YOU get results too! Are you Dedicated to do what you need to for a better you? Are you Driven to resolve your positive health goals? We are now seeing the results that we will continue to maintain and improve upon. Through my transformation I decided it takes the three D’s (Determination, Drive and Dedication) to make a difference in the results you can achieve. 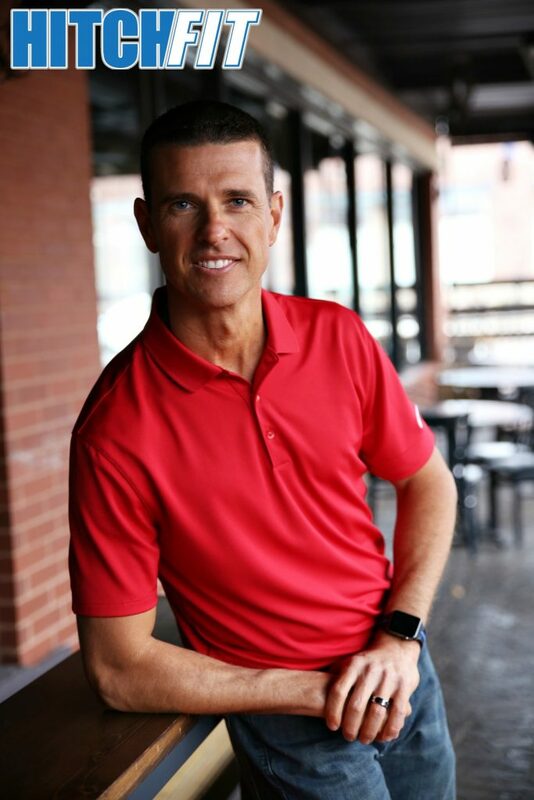 Thank you Eric, Diana & Micah (Diana and Micah for the entrepreneur vision of Hitch Fit), and the entire Hitch Fit family for your part in the success that I have achieved. Thank you Lori, for your inspiration in making me a better person!